Bruce Lim shares his love and knowledge of the Philippines, from the emergence of its fine dining cuisine to the chefs to watch for and his top picks for street food. The Philippines is a country formed of 7,107 islands. Little wonder that there are myriad influences from surrounding countries on its cuisine. It has evolved from its Malayo-Polynesian origins to incorporate Chinese, American, European and other Asian influences, that have been adapted to local ingredients. Here are a few must try dishes when you stop by when you visit. Sinigang: This is a sour tamarind based soup that is made with pork or seafood. While this sounds simple it is very much complex. Tart and tangy broth that is slightly thickened by taro then made savoury by succulent slow simmered pork and enriched with tomatoes and seasonal vegetables. Kare Kare: Savory, decadent and unctuous peanut based stew, coating slow simmered oxtail and tripe, thickened with toasted rice and served with seasonal vegetables and fermented shrimp paste. Although this does not sound appetizing this well-loved dish by Filipinos is a must-try. Lechon: Every province has a specific style of cooking their roast pig. Now my wife is a Cebuana so she favours Ceb-style lechon. I personally love the Bacolo-style lechon. The difference is what goes into the stuffing. In Bacolod, they stuff the cavity of the pig with local aromatics like lemongrass, garlic, onions, salt, sugar and peppercorns to enhance the overall flavor profile. Now they don’t stop there, they boil down the pig’s innards and the resulting oil that floats to the surface that we normal people throw away? They use to baste the pig as it slow roasts. This sounds a bit nasty but I tell you the flavour is unbelievable. 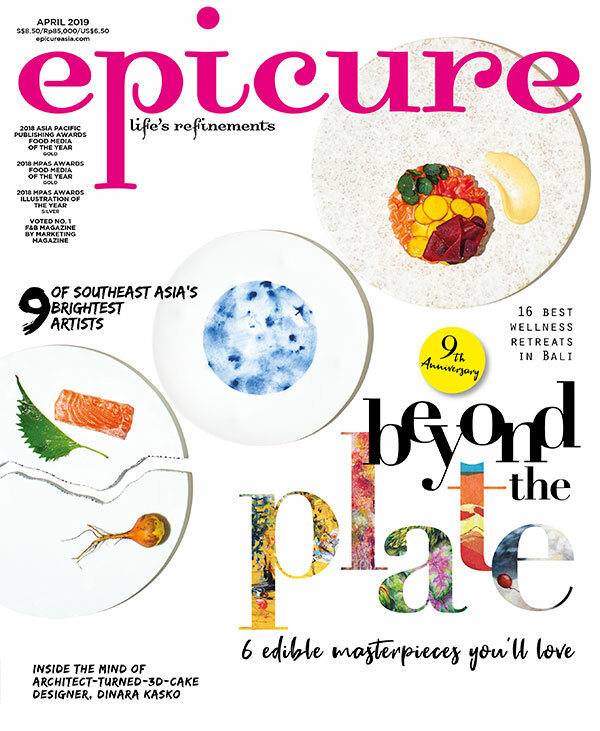 Excerpt from the February issue of epicure.